Connect or Die: The Network Service and the future of your business! > Blog > Demand Creation > Connect or Die: The Network Service and the future of your business! So, this is all known and works, so what is this new term The Network Service? Well, it is a new term coined by an analyst of web 2.0 Sean Parker. In many ways I think it actually sounds like an outdated ‘network’ term but what Sean is actually referring to is Social Networking. Well, let’s have a look at point one, in effect what Sean is saying is that whilst being able to find stuff on the WWW is still important (and will remain so) what is really important is being able to be leverage your connections to find ‘stuff’ faster and well with Trust. I think that is something which people have left out of the argument. In essence you trust a search engine to search that is it. But with a social network, the power of the search is in the TRUSTED reference. In other words the people you link to on MySpace, Facebook and professionally on Linkedin. 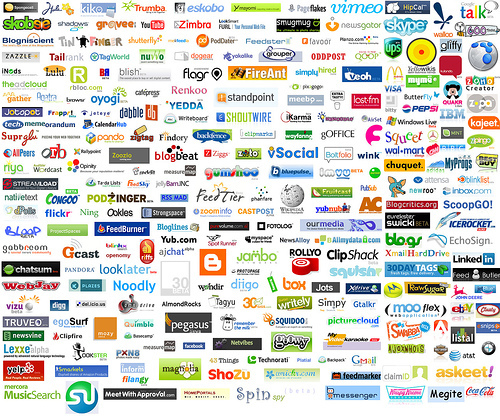 So these Social Networking companies are all in line for being more valuable than Google and Bing and even poor old Yahoo. Because… well because as Sean has stated collecting, aggregating , filtering and presenting data to a single user via search will be less important than collecting people! That is what Social Networking is all about, it is the ability to tap into your known networks of trusted groups and individuals. This is not new, in fact it has been around since humans have been, what is different is that on the WWW it is able to connect you anywhere, any time on a device of your choosing. The Anthropologists and Sociologists have studied this and it is a cause celeb for them, they call it Tribal! Tribal networks are the ability to use your trusted network or tribe for reference, reassurance and acceptance, except this is different to the periods of mass consumerism to the late 1990’s. In that geographically you can be linked into a ‘tribe’ anywhere in the WWW and share the same values and traits. Now, I know you are thinking, “yeah but I am a small business owner what has this got to do with my business?” Well in my opinion it is simple, the saying was “Change or Die” (in other words innovate your business before your competitors do) now I believe it is Connect or Die. And, this is where the small business has a massive opportunity, not only does your business have excellent customer service and great products but you KNOW the Customer! In marketing one of the biggest advantages is knowing your ‘target market’ your customers, If you use Social Networking as a business tool now to connect and foster a ‘tribe’ of your customers you will be building a sustainable competitive advantage – You will sell more to your customers than ever before. Now, I have written enough about Sean’s basic premise and I won’t make your eyes bleed with anymore discussion here, in fact I you can read Sean’s presentation here from Scribd.com or directly from the Integrati.com.au Public Dropbox here in MS PowerPoint. Now, Sean also talk’s about the Network Effect, I will cover this off in my next post, I will be interested to hear your thoughts as well.